Pretty sick, im from philly also.. well north east..
haha! wow, thats awesome, i dont think i would ever use one..but still a very good idea..i like the indicator light and where you positioned the switch..must have taken you some time. Wow, so that RR belongs to you, huh? Nice to, "meet" you. I've seen the video quite a few times and everytime it gets me. Facking sick! 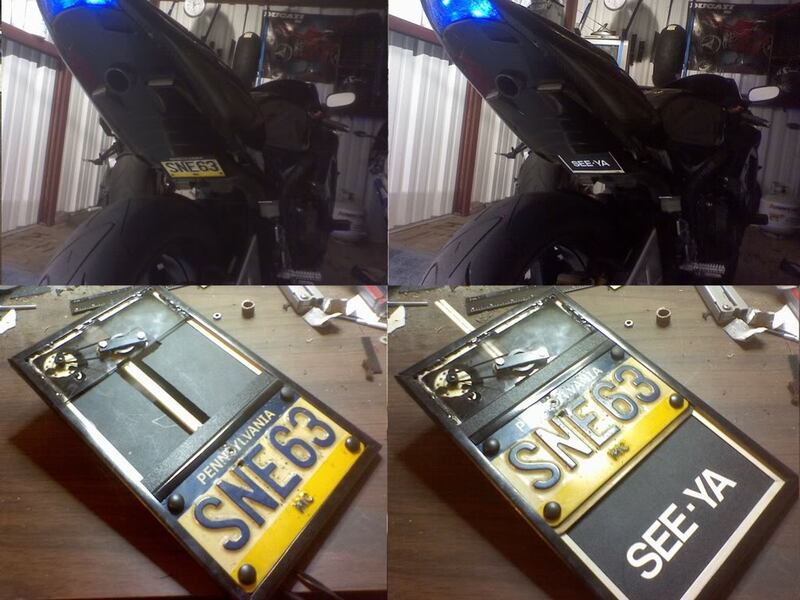 Diggin' the plate mod, I just don't have a plate 90% of the time to be honest so... no use for me. It's a clever design, I'll give you that. But license plate flippers (and people who use them to evade police) really strike a nerve with me. So I'll leave it at that.